Landlords need to know the ins-and-outs of their rights to enter rental property once tenants have moved in to avoid claims of harassment. Tenants have a right to ‘undue disturbance’, which means in simple terms that a landlord can only enter their home with permission at a reasonable hour. Except – and legal terms nearly always have exceptions – entry has to be made as a matter of urgency to protect the property or anyone inside. This covers rare eventualities like gas leaks and fire. The best way to ensure entry is to include a schedule of maintenance visits and safety inspections in the tenancy agreement. Write to the tenant a week or so before the scheduled visit reminding them of the appointment. Don’t leave the arrangements vague – set a specific time and date. The tenant does not have to agree access – but if making an appointment is proving difficult, the tenant may have something to hide. Typical reasons for not letting the landlord visit include subletting, damage to the property and in some cases, criminal activity like running a brothel or growing cannabis. 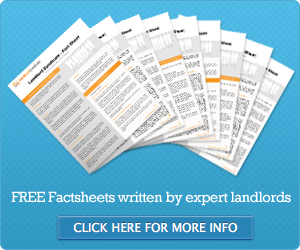 As a last resort, landlords can enforce access to a buy to let property through the courts. The judge will want to see a landlord has made efforts to contact the tenant, so keep copies of correspondence as evidence. Entering a property without permission infringes the tenant’s human rights and could be construed as harassment. Harassment is a civil and criminal offence, so can lead to arrest, fines and even imprisonment. Cases involving harassment that have gone before the courts include visiting tenants to discuss rent arrears, interfering with utilities and changing locks while the tenant was away from their home. Landlords should also beware of forcing an entry if a tenant appears to have abandoned a property. ← What is normal wear and tear?